Here is the jiggle without a book that killed David, tried 11 times and left free! NewsHere is the jiggle without a book that killed David, tried 11 times and left free! 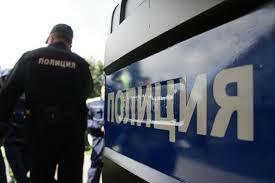 Today, the District Court of Varna saw the measure of forgery of Ivan Dimitrov on charges of a disaster on July 5 in Ignatievo, which resulted in the death of 16-year-old David Slavov. It became clear that the 42-year-old jig from 2008 was driving without a booklet and had 19 punitive decrees. Behind him there are 11 convictions for drunken driving, for fornication and other crimes, but each time Ivan has gone to jail and was "punished" with probation. His latest act is from 2014. From the comment of the prosecutor in the case of Milen Stavrev it became clear that the man often abused alcohol, but that was not an obstacle to get into his car and to drive. The state accusation has demanded the most serious detention measure "Detention on remand" in view of the danger of the man committing a new crime or absconding. According to the defense, Ivan did not hide and even co-operated with the investigators, betraying himself immediately when he learned that the boy had died. Ivan's lawyer said there was no evidence that the 16-year-old boy who died on July 16th in the hospital died exactly from his traumas as a result of the disaster. "I left Rousse at 6 o'clock with the bus as soon as they called, I was not hiding or running, sorry for what I did," Ivan told the court. We recall that the incident occurred at 0.45 o'clock on Georgi Petleshev Street in Ignatievo, where Ivan moved with Renault Laguna towards Slavi Doichev Street, which hit the passing pedestrian, did not stop at the scene, but continued to move the victim of the windscreen, then abandoned his car and escaped, 10 days was wanted by law enforcement. The pre-trial proceedings were initiated on 5 July 2018, immediately after the offense, and then the case was brought to the District Prosecutor's Office in Varna for causing serious or average bodily harm under Article 343, para. 3, in connection with para. 1 (b) of the CC. The injured boy was placed in danger of life at St. Anna Hospital in Varna with multiple fractures of extremities and luxation on both arms 11 days after the accident the child died in the hospital After his death the proceedings were sent to the District Prosecutor's Office the act was re-qualified. Today, the court of Varna imposed the heaviest measure of "detention in custody" of Ivan. It is yet to be clear whether this time a man, with so many criminal acts behind him, will get out of just justice. Here is the jiggle without a book that killed David, tried 11 times and left free! Here is the jiggle without a book that killed David, tried 11 times and left free!